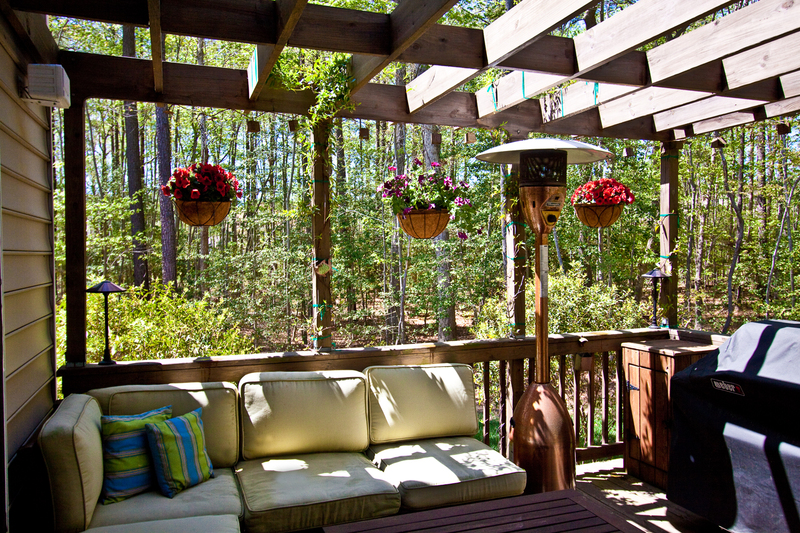 It’s officially Spring at the Lycke house when we turn our deck and pergola into a little colorful oasis. 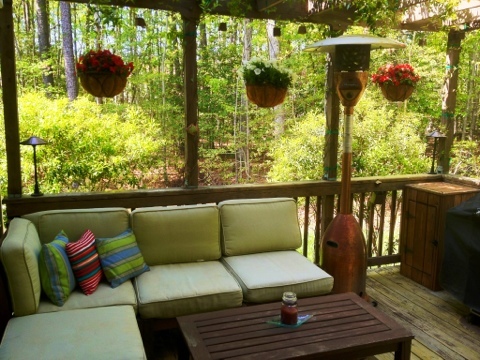 I went with a red theme this year, choosing red and white petunias for the hanging baskets, a bright new red pillow to contrast the blue and green pillows, and a red candle. 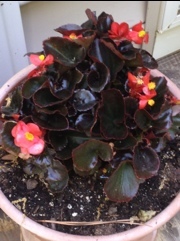 The begonias in the potted plants are also a pinkish red. I also tried a weatherproofing spray (303 High Tech Fabric Guard) this year…hopefully this’ll keep the Sunbrella cushions drier and free from mildew this summer. I will let you know how it works out!